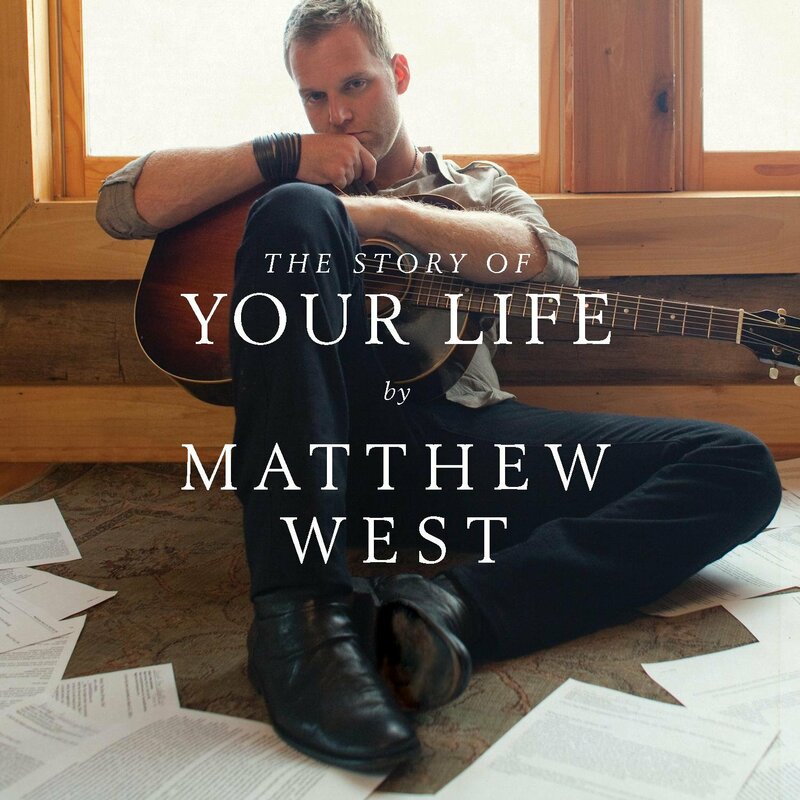 FLASHBACK FRIDAYS: WEEK 27 (The Story Of Your Life by Matthew West)- Why Your Story (And Your Story as part of His Story!) is the most important thing in the whole world! Everyday (or every week) just before I write my new Flashback Fridays’ blog for the week, I usually have a scaffold, or a detailed summary, or- if neither of those things- an inkling, of what to write down, of what has been brewing in my life that I can impart to you guys and give you all advice/wisdom. This week though… I had nothing. No topic, no album to talk about, not a single thing. Well that’s not entirely true- this morning I had nothing. But you know how God turned to water into wine more than 2000 years ago? Well He’s done the same here- and the fact that I thought I had nothing, was actually something, was actually the basis for this upcoming blog. Which is weird but fitting, in a strange way. I’ve been writing blogs almost non-stop for the better part of 10 months (for this blog series anyway!) and it’s hit me that I’ve always assumed that at the end of the day, I have something to say each week to you all (and preferably something new! )- and week in week out I have been saying something new. You could say that my ‘job’ of blogging a series weekly for a whole year has placed me in the unique position of feeling like how pastors feel. Now, I know, they’ve got a weight of their whole church on their shoulders- congregations of real, tangible people, while I’m just the owner of a small site writing blogs that only a handful of you guys may even read, and others will bypass, and others still won’t even know I exist. So it’s a different situation all together, but let me say that coming up with topics and examples of events that have occurred in my life, and linking them to albums that I reckon you all should listen to- so that you guys can be inspired, encouraged, rejuvenated, renewed and restored; is a job in and of itself, and an exhausting one in fact. Sometimes I question why I’m doing this in the first place (no joke!) and other times I even wonder whether my story and my thoughts and opinions on certain things, are even worthy to be put to paper and spoken about aloud. I know, it’s crazy stuff, but it’s what I think about sometimes. Because the thoughts do come, particularly when I read other accomplished blogs, reviews from music sites that have been around practically forever. Sometimes I watch inspiring videos about celebrities overcoming adversity, or other celebrities having a God moment and a brilliant testimony, and then I look inwards at my life, and wonder ‘Well their story is much more profound and much more real, authentic, dramatic, encouraging, than mine’. The thought’s only fleeting, but it’s only today, when I stopped and wondered why I seemingly didn’t have a ‘specific topic to talk about, with a beginning, a middle, and an end, some sort of anecdote and joke to thrown in as well’; that I realised that not having something to say scared me. Take today as an example. Nothing happened this week that was out of the ordinary. God didn’t reveal some big thing to me the past few days, nor did a song come across my iTunes or Spotify playlist that was super nostalgic that made me think about a certain point in time that I wanted to share with you all. All in all, it was a standard week, and because time was running out, I became anxious and scared, wondering if I had reached my peak. I mean, if this was it, what about the rest of the blogs I had planned for the rest of the year and into next year. I had to write about 52 albums (or at least 52 posts in total! ), and what if some of these blogs were forced and unnatural-sounding? Today when I dwelled upon the notion of me not having anything unique nor exciting nor somewhat inspiring to impart to you all today, I wrestled with the idea of not knowing who I was in relation to that. If the site was gone and the motivation and impetus for my blog was gone, then who was I? I mean, I know I’m a Christian and I’m a child of God, but what if that’s all I was? If I didn’t have my ongoing testimony that I shared each week, my story, then who was I? If I didn’t have specific examples of certain things in my life in order to encourage people I come across, and hopefully challenge them in their walk with Jesus; then who was I? Just another average joe, right? I mean I’m not in a position of power and influence like politicians, actors, musicians, international speakers, well-renowned writers, so what do I know, right? My story, if it even is valid, isn’t worth telling, right? Well here’s where I would be wrong, and it’s something I only truly let sink in just a few hours ago. And the point herein is that everyone’s story, mine included, is needed by anyone and everyone. Even a somewhat ‘unimportant’ or ‘insignificant’ story can spark a change in someone else’s life. You may think your story isn’t worth sharing, but I guarantee it, sharing it will bless at least one person. At least one person will be encouraged, at least one other person will know that they’re not alone in the world, and it’s all because of you! Isn’t that comforting and exciting, right? Earlier today I thought that because I wasn’t famous, my testimony (which ironically isn’t bound to just ‘certain events in one week meant to inspire’!) wouldn’t be as relevant, but one album, which a few songs ‘randomly shuffled to’ on iTunes today, reminded me that stories are important. Even though big grandiose stories are comforting, Matthew West’s The Story Of Your Life has shown me that most of the time it’s the small stories that have the greatest impact. Notice how I didn’t specifically talk about an event in my life this time around on Flashback Fridays? Do you want me to carry on with this vein from time to time, or go back to specific events that have challenged me next week (if there is any I can remember!)? Let me know in the comments whenever you guys can! Previous PostMY IDEAL WOW HITS TRACKLISTS: POST 7- WOW HITS 2014 CD & DVDNext PostWOW HITS 2020: WHAT’S YOUR PREDICTION (PART 1)?